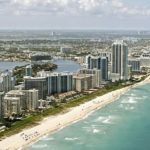 There are several reasons to buy a condo in South Florida this year, either as an investment or as a private residence. Since 2018, the real estate market has been experiencing a change of direction in respect to the behavior that historically has maintained. The truth is that the real estate statistics show how the inventory of new developments is being significantly reduced, which makes it possible to forecast that the existing supply could start to be scarce by the end of this year and 2020. The appeal of Miami to live, vacation, work or just go shopping is recognized worldwide. For decades, thousands of US citizens and foreigners have bought a condo in the Magic City and keep it, because it is a good investment. Who does not want to have a property in Miami to live or to spend a holiday season? 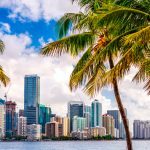 That an average of 900 people move daily to Florida, according to the ISG World Miami 2018 Report, is an indicator of the state’s real estate success; but that almost half of these people choose the circuit formed by the counties of Miami – Dade, Palm Beach and Broward, it only means that this is where the attractiveness of this great city is concentrated. Brickell, for example, is a luxurious and iconic neighborhood that has expanded unusually in the last 10 years at a vertiginous pace. The development of modern and spectacular condominiums along with its consecration as an international business center, has made every acre built there have a gold value. To get an idea of the magnitude of this growth, it is enough to review the data provided by the Development Authority of the Miami Center in a study of the year 2018. The number of residents between Brickell and Edgewater increased by nearly 40% in just eight years and this amount continues to increase. Most real estate purchases in South Florida have been driven by Latin American, US and European buyers. But unexpectedly a change in the use of the properties began to operate and now the owners are also moving to Miami and its surrounding areas. There is currently a market consisting of mainly end users. Contrary to what happened a decade ago when the buyers of condominiums were predominantly investors, who bought the units to rent and not to reside, now it is the opposite. Since 2018, about 80% of new condo owners are residents and use their housing units as primary or secondary homes. Only 20 percent of the buyers were investors. This phenomenon is what has allowed the stability that the market has had up to now. The construction of new development projects has decreased significantly. In 2014 the number of new real estate projects was 23 in total, three years later that amount was reduced to only 10 projects in South Florida. Currently, the inventory of new condominiums from Fort Lauderdale to Coconut Grove is at its minimum level. The developers of South Florida are focused today on finishing the developments already started and selling the remaining units of the finished projects. Right now there are several developments ready waiting to be occupied by the new buyers that keep coming. The issue is: how long will it be possible to maintain the offer? Luxurious units are still available in majestic condominiums such as those offered by Paraiso Bay Residences, such as One Paraiso, Paraiso Bay, Paraiso Bayviews and Gran Paraiso. These are condominiums that have modified the skyline of the city and offer the investor true architectural gems, with paradisiacal views bathed by dreamy sunsets. There is a substantial reduction in the developer inventory. Between 2015 and 2018, the rate of construction and the number of units absorbed remained more or less similar each year with an average of 1,340 units. Although this number is expected to be maintained during 2019, the question that arises is: What will happen after 2020? After the 2,210 developer units that are available to be sold between Fort Lauderdale and Coconut Grove, located just east of I-95, the condo inventory could reach zero in the next 24 months. In the Brickell area in the last three years, the market has been absorbing some 296 units of real estate developers on average every year. It is expected that this absorption rate will be maintained this year, with no more inventory left by the end of 2019. Currently the market is moving with the existing real estate offer, the concern is for the supply of new units of developers in the short and medium term. The Miami real estate market has been growing steadily in recent years but everything indicates that this will change. 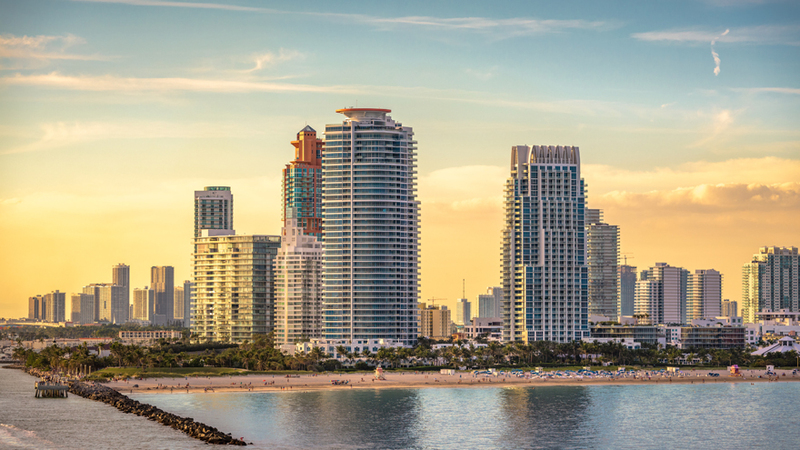 The shortage of new inventory for condominiums that is expected in the next two years, is discouraging for the sector and for those who have sought in the real estate projects that are built in South Florida, a fertile ground for their investments. This inventory drought has been caused to a large extent by the high costs of the US dollar, which has made investments in new developments more expensive. It has been particularly difficult to attract fresh money from South America, from where traditionally large real estate projects have been financed. New real estate projects from private developers have been postponed until 2020, pending a change of pattern in the monetary and financial behavior of the country, which makes investments in new real estate developments more attractive. This means that if you are thinking about buying a new condo in Miami, you must do it now before the real estate offer dries up completely. If you are interested in investing in any of the units that are still on offer, do not hesitate to contact the Miami Residential Group team. We can offer you the best advice on the best available condos.